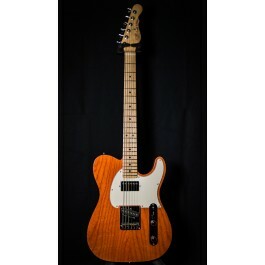 G&L USA ASAT Classic Bluesboy with Maple Fingerboard in Clear Orange finish. 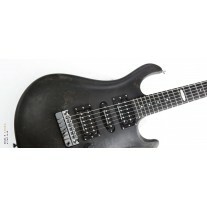 Other features include: Swamp Ash body, Rear Body Contour, Light Tint Gloss neck, Modern Classic neck, COA, Hard case, etc. Weight is 7,5 lbs. 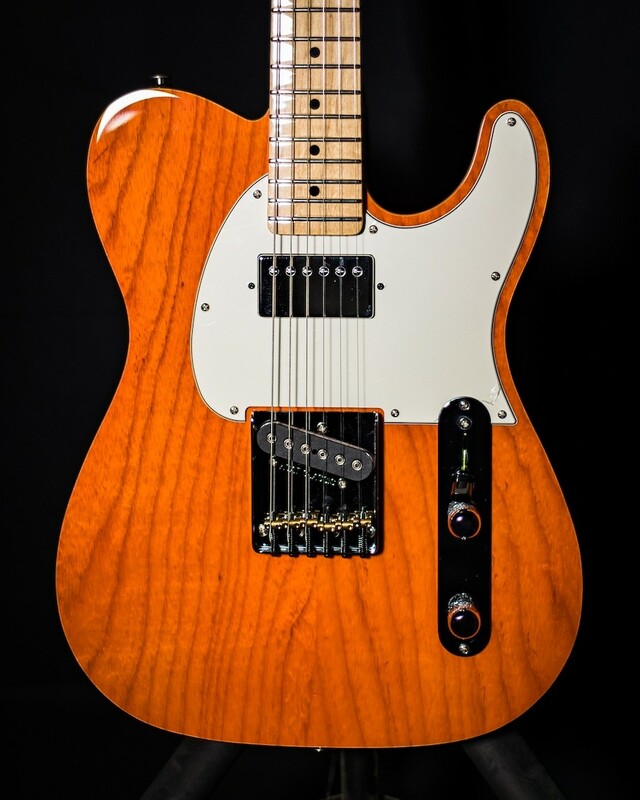 G&L USA ASAT Classic Bluesboy with Maple Fingerboard in a beautiful Clear Orange finish. 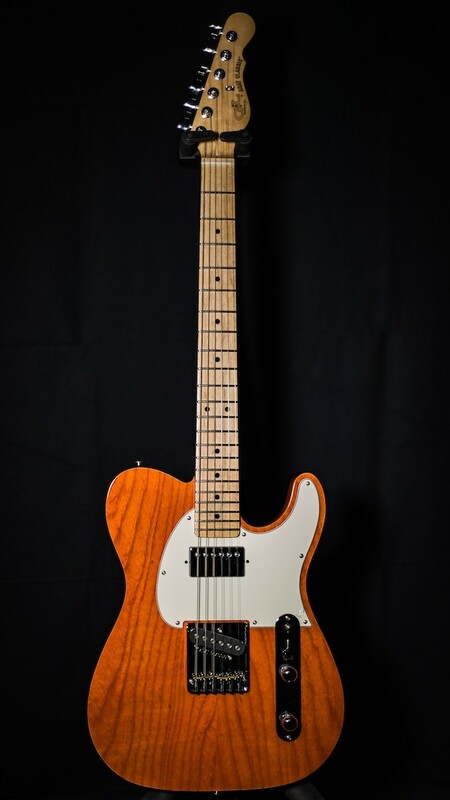 Other features include: Swamp Ash body, Rear Body Contour, Light Tint Gloss neck, Modern Classic neck, Certificate of Authencity, G&L hard case, and more. The Bluesboy from G&L is a really versatile and extremely well built guitar. With the Seymour Duncan "Seth Lover" neck pickup, fluid bluesy overdriven tones or full-bodied cleans are at your fingertips. In the middle position, the G&L and Seymour Duncan blend perfectly and offer a really excellent tone for cleans (warm but with crisp articulation) or for fat overdrive (but never muddy). And of course the traditional bridge pickup offers up killer twangy Telecaster tones. 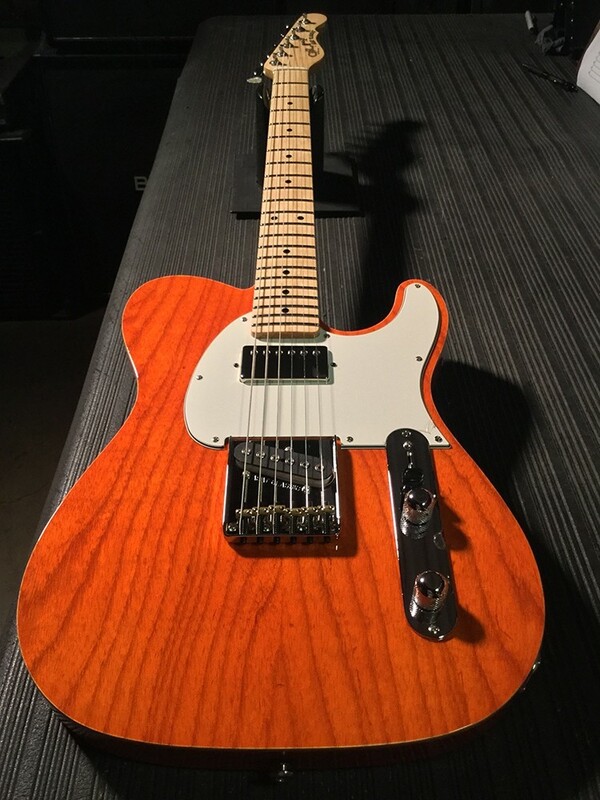 You think you will absolutely love this guitar, however you can also have your own custom shop G&L built for you, click here for our order form. The Axe Palace is an authorized G&L dealer and we specialize in their USA models and Custom Shop guitars. Whether you're after a production model or a custom shop guitar built to your specs, we can help you make that happen. We always strive to have a nice selection of unique G&Ls in stock and always have more on order. If you have any questions about these guitars, we would be very happy to assist you. 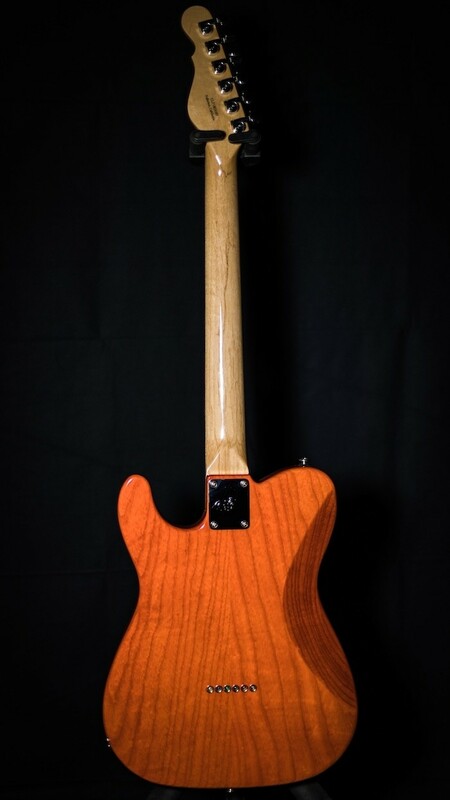 You can reach our G&L expert by calling 508-921-997 or contacting us via email, or Facebook.